Thomas Klein is a new Senior Partner and shareholder with the ConMoto Consulting Group GmbH. 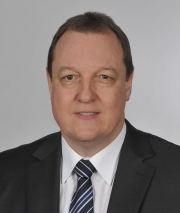 He has more than three decades years professional experience with renowned automobile manufacturers (OEM) and with automotive suppliers – in Germany, England and Portugal as plant manager. With a British manufacturer of motor yachts Thomas Klein was member of the management board as Chief Technical Officer. As a freelance consultant for a global consulting firm his focus was on mechanical engineering and the steel industry. Green Field projects, Brown Field projects and product launches are in his consulting portfolio. He is an expert in restructuring, lean manufacturing, lean coaching and transformation, as well as stamping technology. At ConMoto Thomas Klein is responsible for Production & Logistics.